“After this, Abraham buried Sarah his wife in the cave of the field of Machpelah east of Mamre (that is, Hebron) in the land of Canaan” (Gen. 23:19). We would be hard pressed to find anyone who thinks that the way of the world is the way in which it was intended to function. Consider death, for example. If the cessation of life was truly natural, then why do we obsessively try to avoid it? Why do we ignore it or fight against it? If we thought death were necessary for true human existence, then we would not be found trying to prevent it, just as we do not try to prevent the physical growth of our children. Furthermore, if death were just another normal stage of life, then surely we would celebrate it with the same joy as we experience when we commemorate the birth of a baby. As Christians, we know that death was not originally a part of the created order but crept in when Adam ate the forbidden fruit (Gen. 2:16–17). Nevertheless, we are sad when loved ones pass, because death means we lose, for a time, the intimacy we had with them. However, unlike those who do not trust Christ, for Christians death is not finally a tragedy. Instead, we find the greatest opportunity of all to display our faith when we are face-to-face with the grave. This is precisely what we learn from Abraham in Genesis 23. The patriarch could have doubted God when Sarah passed, for she died without seeing the divine promises fulfilled. Yet Abraham persevered, buying a burial plot as a sign of his confidence in the Lord’s blessing (v. 16). He and his wife would inherit Canaan after their deaths if need be. In the meantime, their bodies would lie in the ground not far from the place where Sarah first heard she would be a part of the promise by giving birth to Isaac (18:1–15). As one commentator has said, their bones bore witness to future generations of their hope that the Lord would do so much more for them at the resurrection than he did during their lives. We too may die before Jesus returns to place the whole earth into the hands of His people (Matt. 5:5). Yet our confidence in the Father enables us to know that all His promises will surely come to pass, even if they must come after our lifetime. May we, like Abraham and Sarah, trust God to be faithful in life and in death (Heb. 11:13–16). Have you recently suffered the death of a loved one? Maybe you or someone you know has just been diagnosed with a terminal or life-threatening disease. If you are struggling with sadness, go before the Lord and ask Him to renew your hope in His promises. 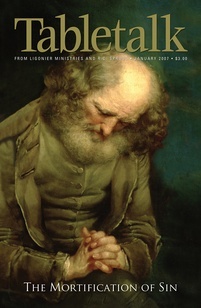 Look to Abraham’s grief as a model for how to persevere in difficult circumstances. If death has not recently affected your life, go and offer support and encouragement to a grieving person.